US-based electronics manufacturer Infocus will be launching their latest handheld device - called the Infocus M460 - in the international market. The Infocus M460 will be taking on the cheapest smartphone in India with 3GB of RAM, the CoolPad Note 3. 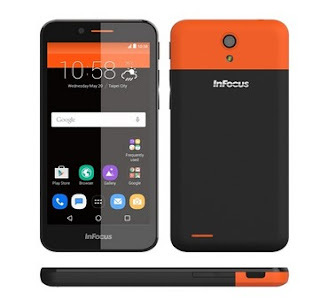 The InFocus M460 smartphone is similar in specifications to the Coolpad Note 3, having a 5.5-inch HD display screen with a resolution of 720 x 1280 pixels. The device is powered by a Quad core 1.3 GHz MediaTek MT6735 chipset paired with an impressive 3 GB of RAM. It is equipped with Mali T720 GPU on board to provide smooth 3D graphics game play. InFocus M460 comes with a built-in 16 GB internal storage, which can be further expanded up to 128GB via a microSD card. In terms of the software, the handset is running on Android 6.0 Marshmallow operating system. The device will come in two color options once officially released in the market - black and white models. The InFocus M460 smatphone will sports 8-megapixel cameras, both on the front and back of the device. Unfortunately, the device does not come with a Fingerprint sensor, which is a big downside as this is the only thing that is keeping it below par compared to the Coolpad note 3. The lack of a Fingerprint sensor makes the device inferior to the Coolpad. The launch date of the InFocus M460 smartphone is not yet announced, but the device is expected to be priced around Rs. 7,499 ($112).